Let's first look at the unique properties of Carbon that give rise to the vast majority of molecules necessary for life. The number of electrons in the outermost shell determines an atom’s chemical properties. A carbon atom has 4 electrons in a valence shell that holds 8. Carbon completes its outer shell by sharing electrons with other atoms in four covalent bonds. This allows for a huge variety of possibilities and possible structures. This is why we observe large organic molecules with complex and elaborate shapes. Hydrocarbons are composed of carbon and hydrogen. In nature, hydrocarbons take the form of crude oil and natural gas. That being said, hydrocarbons are the primary energy source for most of the world today. Hydrocarbons can be found in living organisms in the form of hydrocarbon chains within certain molecular structures. A good example of this are the hydrocarbon chains found in lipids (fats) that provide fuel to your body. Hydrocarbons are very good at forming covalent bonds with other hydrocarbons to form long chains or rings. There are two types of covalent bonding; polar and non-polar. In any covalent bond, electrons are SHARED between the bonded atoms. In a polar covalent bond, these electrons are unequally shared and they spend more of their time towards one of the bonded atoms than the other. This results in a "polar" molecule which will carry a partial negative near the atom with the higher electronegativity value (and, thus, the electrons preferentially will be located by that atom more often) and a partial positive charge at one end in which the electrons spend less time. 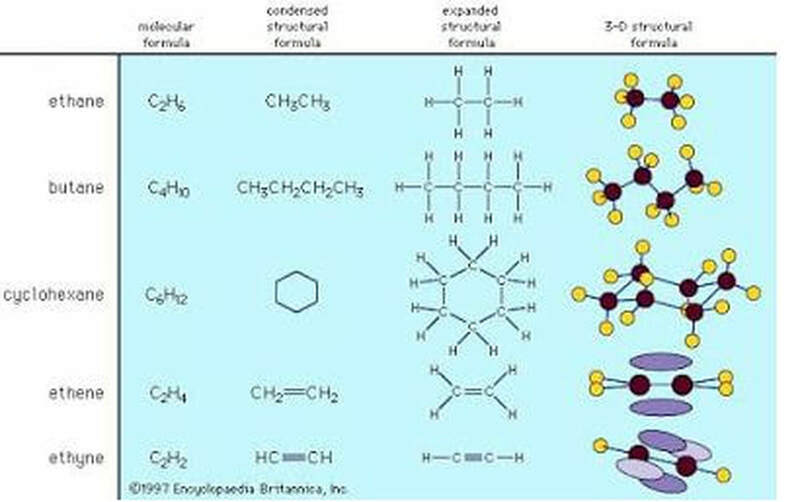 In hydrocarbon chains, H and C have very similar electronegativties and from non-polar covalent bonds, and when C binds to another C they share their electrons completely equally since they have the same electronegativity value. We consider any bond between two elements with the same or similar electronegativities (within ~ 0.30) a non-polar bond. Hydrocarbons are considered hydrophobic meaning they are “afraid” of water! Hydrocarbons are the world's leading source of electrical and thermal energy, due to the amount of energy produced when burnt. This burning is a combustion reaction in which oxygen from the air becomes a reactant with the hydrocarbon, to form a new chemical product. Common products of hydrocarbons combustion reactions include steam, carbon dioxide and heat.